Photograph Signed, 8" x 10" black & white, an absolutely adorable picture of the six-year-old star in costume as "Margaret" for the RKO film, "Tomorrow is Forever" (1946), in which she appeared opposite Orson Welles and Claudette Colbert. Inscribed in black ink above her left shoulder, "To Joe, best wishes, Natalie Wood". 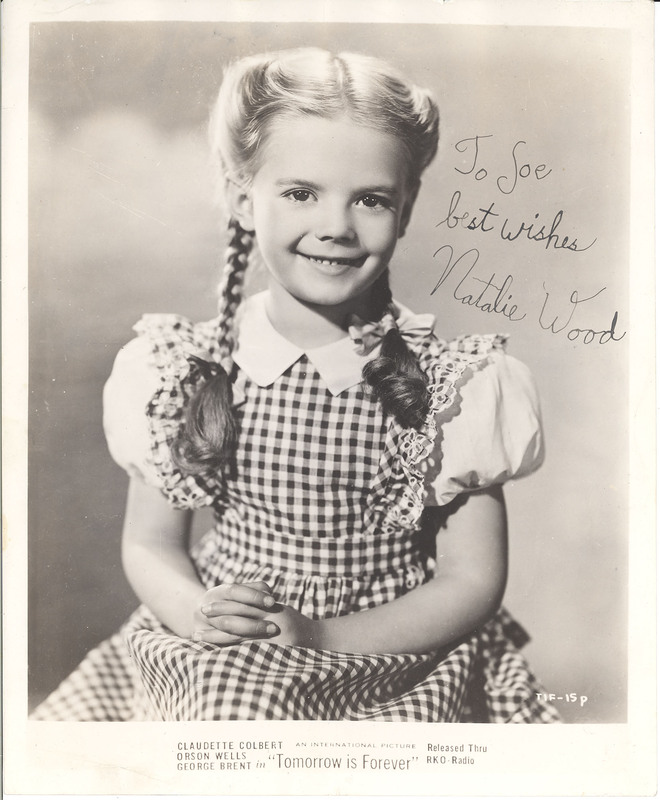 Following this, her first appearance in a major Hollywood film, little Natalie captured the role of "Susan Walker" in the 1947 Christmas classic "Miracle on 34th Street," and the rest, as they say, is history. A lovely and very rare signed photograph, perfect for display. In fine condition.